This year's collection of Super Bowl ads have mostly come and gone in our minds, either never to be seen again on TV or transitioned into the daily rotation of primetime ads across the dial. Two Super Bowl ads, however, stood out in my mind as particularly powerful: Chrysler's “Imported from Detroit” spot starring Eminem, and Volkswagen's “The Force” featuring a mini-Darth Vader. To me, it's no surprise that auto brands stole the show on Super Bowl Sunday. It's a reminder that several years after the industry was indisputably in dire straits, it is well on its way back, in large part due to its ability to communicate in a way that's relevant with today's consumers. Cars have always been more than just a means of transportation – for a century, they have both reflected and inspired our culture and are often central players in the seminal moments in our lives. The fallout and recovery from the economic downturn have forced the American public at large to reevaluate its core values and ideals, placing a greater priority on inner beliefs and passions rather than externally-focused image-making. What Chrysler and Volkswagen did so well in their ads was craft stories that resonated on deep emotional levels – whether that was through steadfast hometown pride or the connection between nostalgia and family. While new features and technical quality are always baseline standards for attracting consumers, storytelling that is personally relevant to consumers' lives is what builds brand loyalty. Automakers are doing so by branching into a diverse range of categories to expand their appeal and tap into the inner passions of the public, wading into everything from consumer technology and lifestyle to even fashion. While there are no statistics to back this up, I'd venture to say that the old-fashioned practice of naming one's car has waned in recent years. But now, as auto brands craft compelling new narratives, the incidence of cars named “Sally” or “Baby Blue” may just be back on the rise. 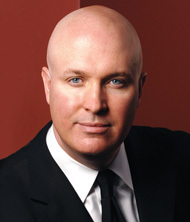 Sean Cassidy is president of DKC PR, Marketing & Government Affairs.